beIN SPORTS's tweet - ""I don't lose time creating a position of privilege, I have the prestige that I have only because of my work and my results. Nobody gave me nothing." Mourinho on working his way up from "zero". #beINMourinho #beINPL #ARSCHE "
"I don't lose time creating a position of privilege, I have the prestige that I have only because of my work and my results. Nobody gave me nothing." Mourinho on working his way up from "zero". اراء متقدمة وثورية في علم كرة القدم ؛؛ وتفاصيل دقيقة تقربك من فكر "سبشل ون"
Arrigo Sacchi is another one that doesnt belong to the "tribe"
Tony Montana of football. The Good and the Bad. He gets adulation each time he wins a trophy. They still call him the special one or a seriel winner. But people are equally justified to ques ur method when you don't win. Go out & win again else we will continue hearing him speaking of his past laurels & not getting respect. O Mourinho é foda. Admiro pra krl a sinceridade dele. My god man has a charisma..!! What a cool personality behind door ..!! 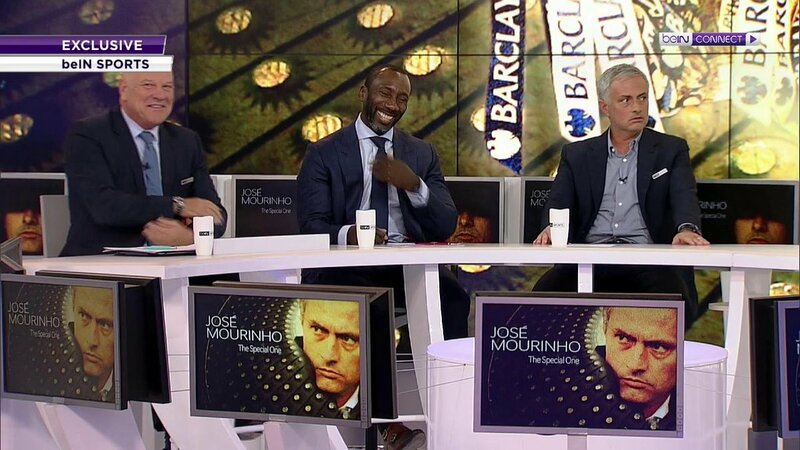 Riveting stuff from Mourinho on beIN. How can you not fall in love with this guy's mentality. Winners only.